A passionate advocate for preserving wilderness and fighting the bureaucratic and business forces that would destroy it, Edward Abbey (1927-1989) wrote fierce, polemical books such as Desert Solitaire and The Monkey Wrench Gang that continue to inspire environmental activists. In this eloquent memoir, his friend and fellow desert rat Charles Bowden reflects on Abbey the man and the writer, offering up thought-provoking, contrarian views of the writing life, literary reputations, and the perverse need of critics to sum up "what he really meant and whether any of it was truly up to snuff." The Red Caddy is the first literary biography of Abbey in a generation. Refusing to turn him into a desert guru, Bowden instead recalls the wild man in a red Cadillac convertible for whom liberty was life. 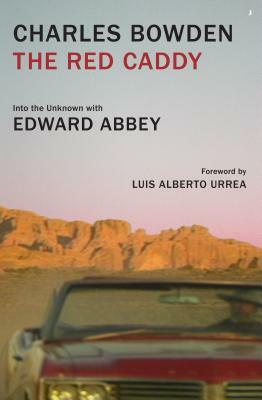 He describes how Desert Solitaire paradoxically "launched thousands of maniacs into the empty ground" that Abbey wanted to protect, while sealing his literary reputation and overshadowing the novels that Abbey considered his best books. Bowden also skewers the cottage industry that has grown up around Abbey's writing, smoothing off its rougher (racist, sexist) edges while seeking "anecdotes, little intimacies . . . pieces of the True Beer Can or True Old Pickup Truck." Asserting that the real essence of Abbey will always remain unknown and unknowable, The Red Caddy still catches gleams of "the fire that from time to time causes a life to become a conflagration."